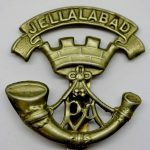 Holroyd enlisted with the Devonshire Labour Regiment, service no. 17269 and was invalided home. On returning to the front he was attached to the 7th Battalion, Somerset Light Infantry, service no. 28018, where he was serving when killed in action on 16 September 1917. 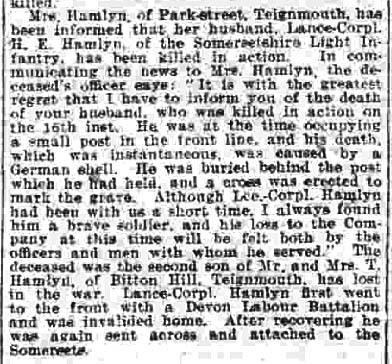 Holroyd Edward Hamlyn was the fourth child of Thomas William Hamlyn (1866-1945) and Emma Full Hamlyn (1866-1940) of Teignmouth. Holroyd (also written as Halroyd in some docs) worked as a mason's labourer when he left school and he married Caroline Crews (1887-1964) who lived at Cofton, in 1915. 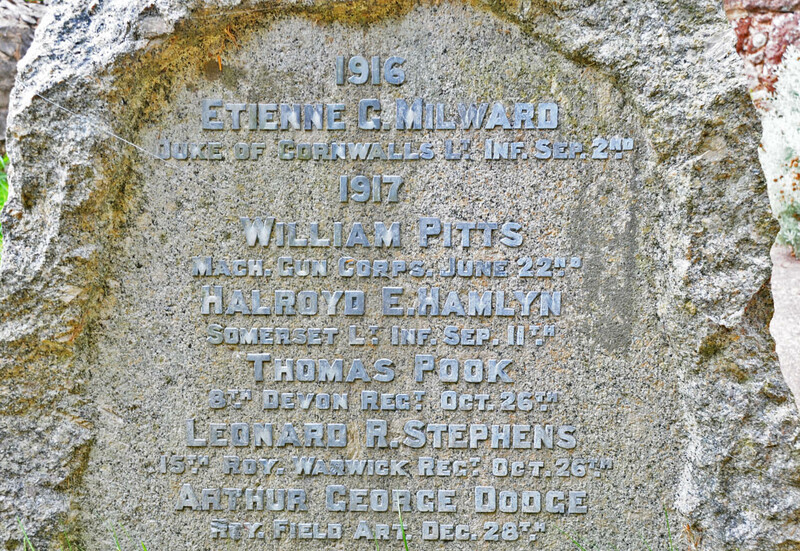 The connection with Dawlish is through his name appearing on the War Memorial in Cofton churchyard.